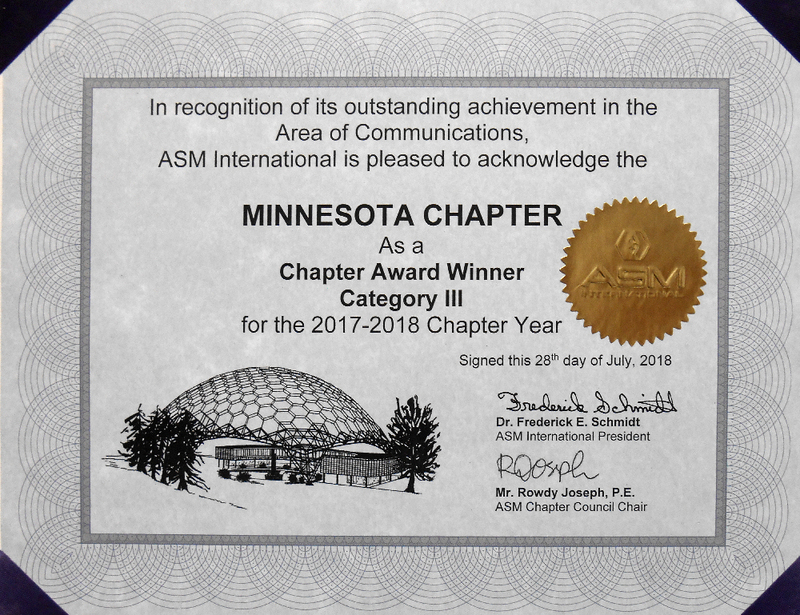 For achievements in promoting active communication both to and within the chapter membership, or successfully implementing a new or creative communication strategy that has proven effective for chapter membership. For achievements in creative recruitment, innovative outreach to new members or successful retention efforts as a chapter. 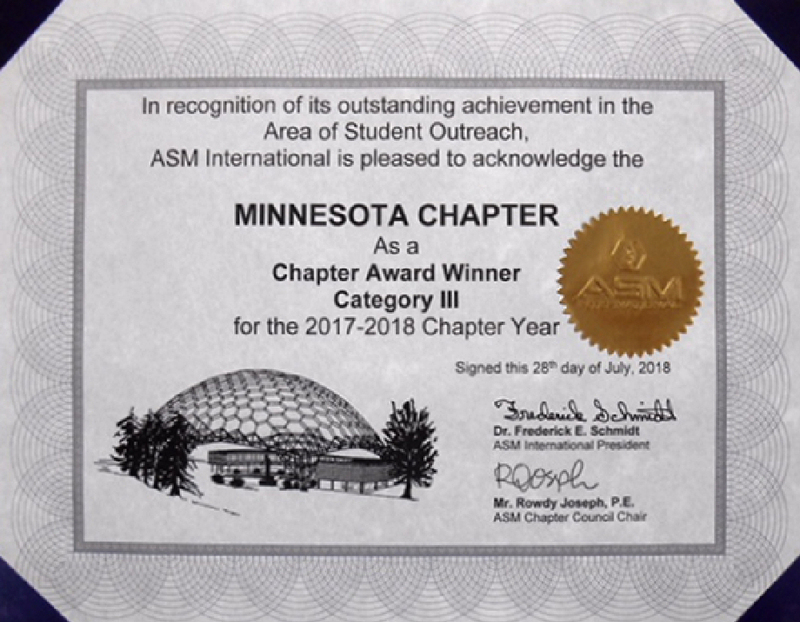 For achievements in the increase of student attendance/participation at chapter meetings, success in hosting an ASM Materials Student Camp, K-12 outreach event or engagement of local Material Advantage Student Chapter.